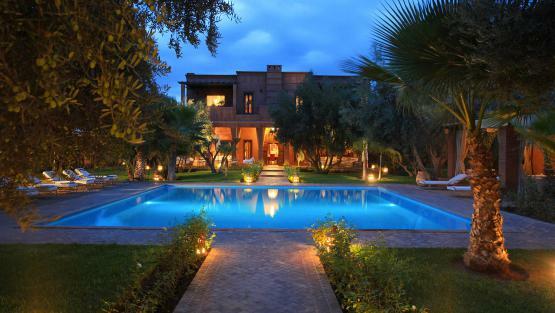 Play tennis in your marrakech villa! 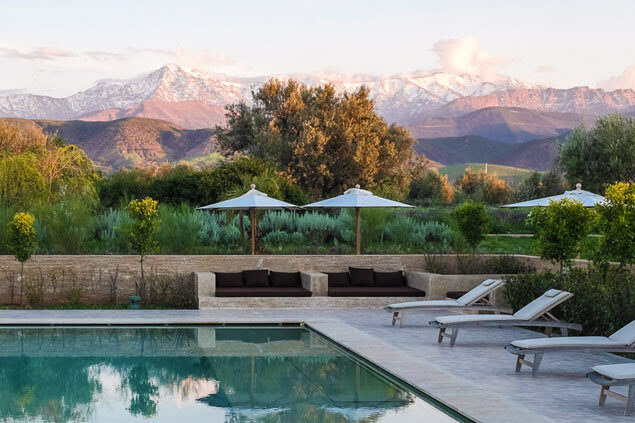 By selecting the most beautiful houses in Marrakech, we have obviously thought about our clients who like to play tennis regularly. 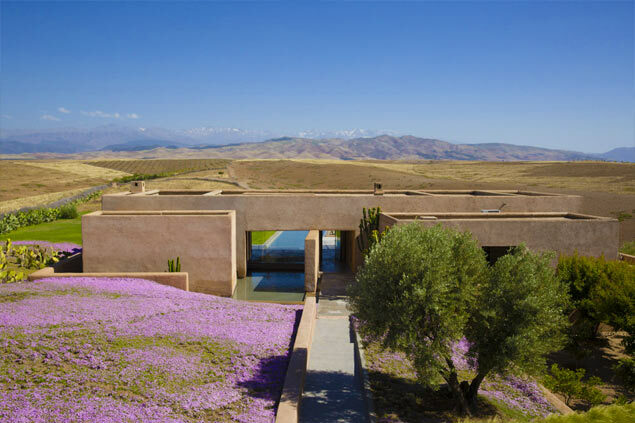 Because it is sunny all year round, Marrakech is an ideal place to play whatever the season. 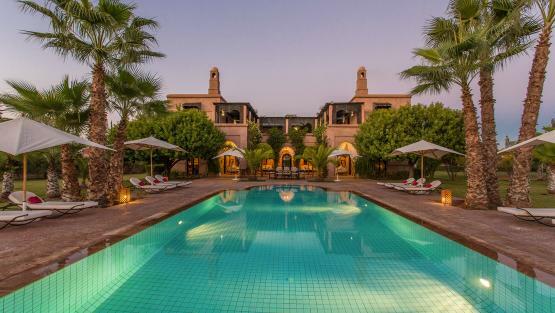 That is why we offer you a wide selection of luxury villas with private tennis courts that have been carefully laid out in the gardens behind hedges of olive and palm trees and flowering shrubs. 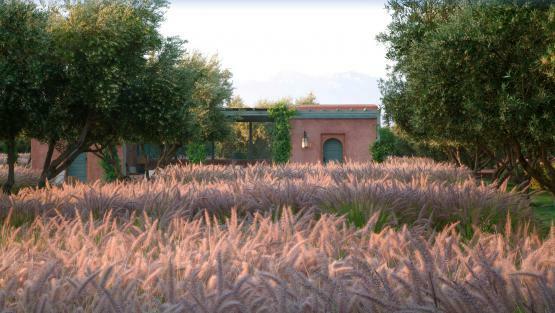 Most tennis courts in Marrakech are clay. We only have one artificial grass court at the moment and no courts with a hard surface. A few courts are fitted with a lighting system so you can still play after dark. We would advise you to pack your own tennis rackets in your luggage. The villas usually provide equipment that you can borrow, but not always. You will find plenty of shops in Marrakech where you can have your racket strung and buy tennis balls. 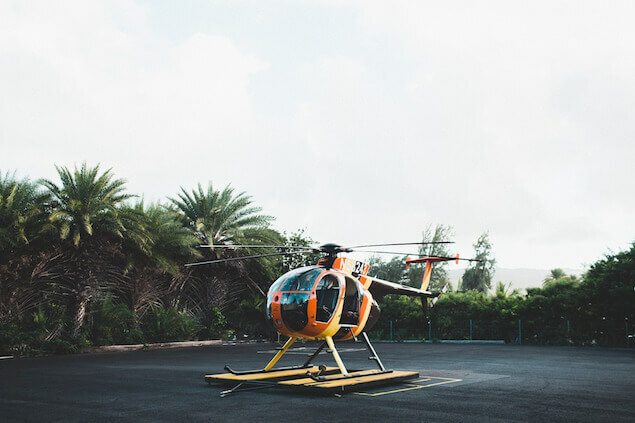 Naturally, our concierge service is available to deliver anything that you may need to your villa. 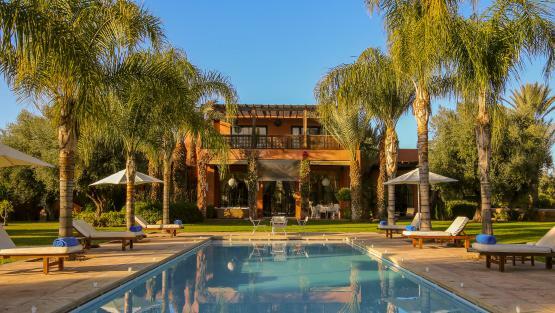 The two best tennis coaches in Marrakech work for Villanovo and they would be delighted to come to the villa to give you lessons (please reserve in advance). They are qualified coaches and can teach both adults and children. They can provide you with a personalised training program if you are staying for a week. 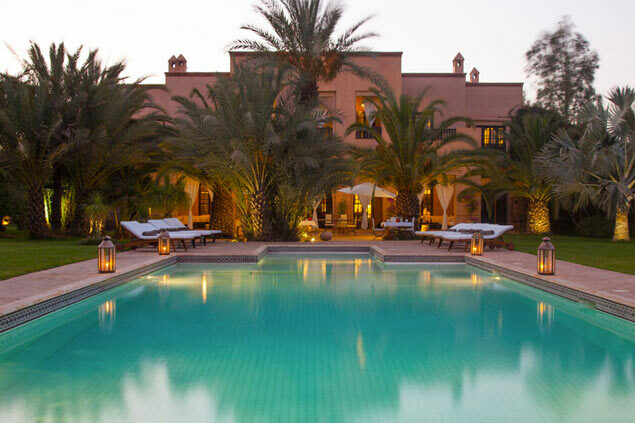 We can also provide you with a group of tennis partners who are usually young Moroccans who are excellent players and will come to the villa and return the ball with style.